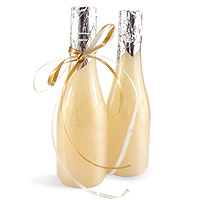 Keuka bottles, foil wrappers and pearlescent liquid soap combine to make this elegant shower gel. 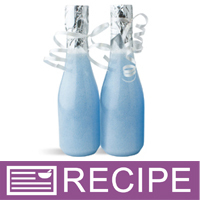 This is a popular project for brides-to-be to create sophisticated looking wedding favors or bridal shower favors. If you prefer bubble bath, label it bubble bath! The formula works as a shower gel or bubble bath. You Save $45.80 by purchasing this kit rather than buying the items separately. Water, Ammonium Lauryl Sulfate, Glycerin, Disodium Cocamido MIPA Sulfosuccinate, Propylene Glycol, Cocamidopropyl Betaine, Acrylates/C10-30 Alkyl Acrylate Crosspolymer, Fragrance, Triethanolamine, Disodium EDTA, DMDM Hydantoin, Polyethylene Terephthalate, Acrylates Copolymer, Polyurethane 33, Fragrance, Phenoxyethanol, Benzoic Acid, Dehydroacetic Acid. "Can this be made as a base and just add essential oils later? " Staff Answer You can premix the base with the other additives. Then add the FO or EO before bottling. "what is the FDA labeling guidelines for shower gel? It's it considered soap?" Staff Answer Shower Gel would need all ingredients listed on the label. This is different than labeling a bar of soap.